A bush, usually made from rubber or polyurethane, dampens vibration and noise as well as allowing for flex. We take pleasure to introduce ourselves as one of the renowned organizations for manufacturing best-in-class range of Copper Bushes. 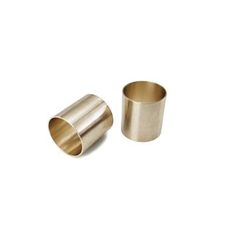 As an important entity of this domain, we provide the handpicked quality of Copper Bushes. Their high functionality and compact design make these products highly demanded. We are a unique name in the industry, devoted towards manufacturing the best quality range of BPW Cooper Bush. We have gained a huge appreciation in the market by offering an excellent array of Copper Bush. Copper bush is used in the panel board to make a sufficient space keeping the low resistance path for the electric earthing. They are available with Tin Plating for extra protection. 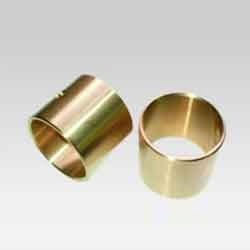 We have gained rich industry experience in this domain for offering a wide array of Copper Bush to our valued clients.